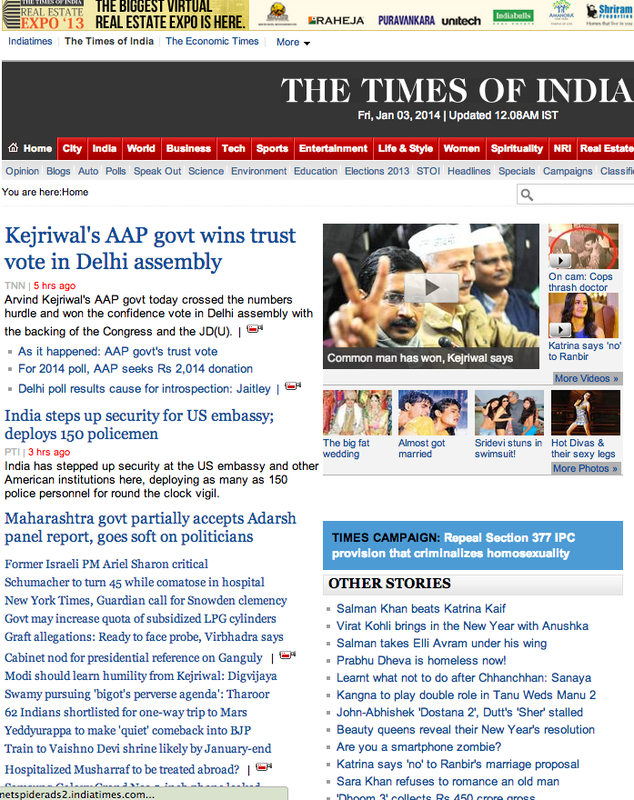 Today’s online edition of Times of India has a rather bizarre headline – “Salman Khan beats Katrina Kaif“. Inside you will find an article on an online search engine result. How callous and insensitive have we become to find insinuations and violent innuendos perfectly acceptable. I was also thinking about headlines to do with actors and sports personalities who have been injured or passed away in crashes – is “need for speed” really what we ought to highlight. Is it just me who finds this jarring, hurtful? Or is it just some strange sense of humor that is clearly beyond my understanding? And why on earth does the front page of a leading national newspaper have to resort to such outlandish language? Further down on the same page there is an article about how Katrina has refused Ranbir’s marriage proposal to concentrate on her career. No mention of any beating there.